It’s the summer of 1919 and Ellen O’Brien has her whole life ahead of her. Young, in love and leaving home for her first job, the future seems full of shining possibility. But war is brewing and before long, Ellen and everyone around her are swept up by it. As Ireland is torn apart by the turmoil, Ellen finds herself facing the ultimate test of love and loyalty. A hundred years later and Clare Farrell has inherited a dilapidated old farmhouse in County Meath. Seizing the chance to escape her unhappy marriage she strikes out on her own for the first time, hoping the old building might also provide clues to her family’s shadowy history. As she sets out to put the place – and herself – back to rights, she stumbles across a long-forgotten hiding place, with a clue to a secret that has lain buried for decades. For fans of Kate Morton and Gill Paul comes an unforgettable novel about two women fighting for independence. This was the most difficult book I’ve ever written but probably the one I am most proud of. It will be released as an ebook on March 1st 2019, and in paperback later in May. I can’t wait to find out what readers think of it! New cover for The Emerald Comb! I’m delighted to share with you this gorgeous new cover for The Emerald Comb. While I liked the picture on the original cover, I never felt it was quite right for the book. This one is perfect. That house is exactly how I envisaged Kingsley House to be, and I love the new tag line. I’ll always have a soft spot for this book as it’s the one that landed my my first publishing contract. It’s hard to believe but it is almost four years since I published my first novel -Mr Cavell’s Diamond. This one was self-published, and my lovely son made me a cover for it. Time’s moved on, and I felt the cover didn’t really fit the contents of the novel and also didn’t look right alongside my other novels, published by HQ. So, I commissioned a cover designer (Berni Stevens) to make me a new cover, and I’m delighted to be able to share that with you today! Here is is. The Regency house, the girl, the sea in the background – all just spot on for the story, and I love the vibrant colours. The novel may have been out a while, but it’s still one I’m very proud of. Unlike my other novels it’s not dual timeline but it is historical, and there’s a genealogical twist (revealed when you get to the author’s note at the end). You can buy the ebook from Amazon UK, Amazon US, or any other Amazon. Well I don’t know about you but I think this cover’s absolutely GORGEOUS! I love her vibrant hair which is exactly right for my heroine, Kitty. And the background image is perfect for the setting of west Cork, Ireland. This book feels like it’s been a long time coming. I actually finished the first draft and sent it to my editor way back in August last year. Since then there has been a number of rounds of edits, and I have just this minute finished going through the printed proofs. This book, I am DELIGHTED to announce, will be available as a paperback as well as ebook. It’s been my dream for ages to hold one of my novels, printed, in my grubby little paws (or maybe I’ll even wash my hands before picking it up). And now that’s finally going to happen! Although, as this book won’t be released until 1st June we’ll actually be out of the country at that time (as you’ll know if you’ve looked at my other blog linked from the last post). I’ll have to wait until I’m back to finally get to hold it. It is funny the reactions I’ve had when telling people it’ll be available as a paperback. Old friends and in-laws who just don’t ‘do’ Kindles are the most delighted for me, hugging me excitedly as finally they will get to read one of my books in a format they like. Other people, especially those who read a lot of ebooks, smile uncertainly, shrug, and ask me to explain why paperback is such a big deal. I’m likely to make more money on the ebook sales than the paperback, but still, knowing that format will be available does feel like a really big deal. My publisher is a digital-first publisher, and only selected books go into paperback. The fact they’ve picked one of mine means they have faith in this book and think it’ll sell. That’s a real confidence booster. And it will, of course, be lovely to actually have a copy of the book on my book shelves at home. I’m also delighted that this format will mean the book can reach more readers. I’ve added a page at the top of this blog for reviews and links relating to this book, as for the other ones. It’s available now for preorder. 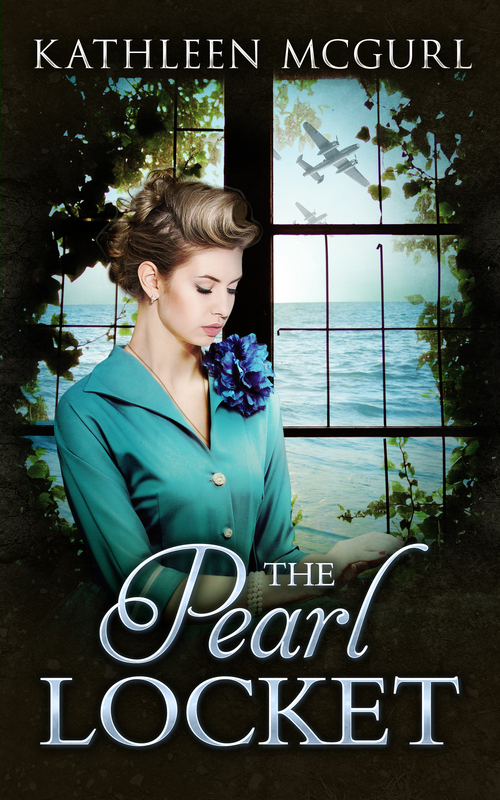 The Pearl Locket – cover reveal! Delighted to be able to share the cover for my new novel, The Pearl Locket! I am thrilled with this picture – it is exactly right for the story. The novel is currently available for preorder at £2.99 and will be released around the end of the month. The Emerald Comb – cover reveal! I’m delighted to present the cover for my forthcoming timeslip novel, The Emerald Comb. This is to be published as an ebook by Carina UK on 22nd September. Eek, that’s about three weeks away! One afternoon, Katie takes a drive to visit Kingsley House, the family home of her ancestors, the St Clairs. She falls in love the minute she sees it. It may be old and in desperate need of modernisation, but it is her link to the past and, having researched her family tree extensively, she feels a sense of belonging to the crumbling old estate. When it suddenly comes up for sale, she cannot resist persuading her family to sell up and buy it, never telling them the truth of their connection with it. But soon the past collides with the present, as the house begins to reveal the secrets it has hidden for generations. Does Katie really want to discover what she has come from? I can’t wait for this to be published – my first full-length novel. It’s all becoming very exciting as the publication date draws near! What do you think? Created by my lovely 16-year old son. I’m hoping to self-publish this novella, a 50,000 word Regency romance, soon.